This car represents the end of an era. 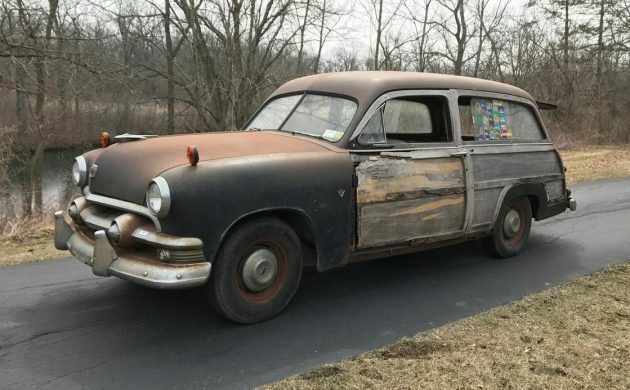 The 1951 model year would be the last for Ford station wagons with real wood on the sides. Earlier station wagon bodies were almost all wood from the cowl back. By 1949, the wood had become mostly superficial. You see wood on the doors and quarter panels inside and out but sandwiched between are structural panels constructed of steel. 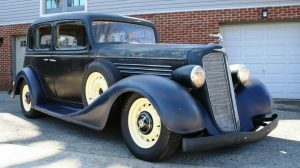 Located in Waterford Wisconsin, this unrestored example is listed here on Early Ford V8 for $11,500. All the sheet metal that I can see in the photos looks very straight. There is some rust through visible in the rocker panels. 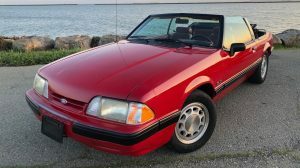 The seller reports that the car was in use as a summer car in the Southamptions of New York well into the 2000’s. 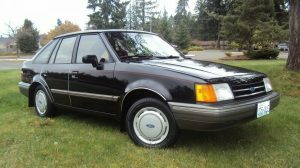 That back bumper is unique to station wagons and is very hard to find when they’re missing. Yes, it’s dented but it would straighten and replate just fine. The seller has some new wood pieces for the car. The pieces he doesn’t have, he has located them and will share his contacts with the buyer. 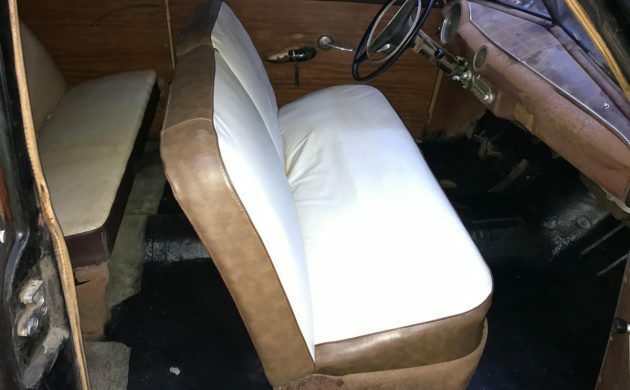 The interior looks original with the exception of the front seat cover and floor. I’m not sure what’s going on with the floor, but it looks like some insulation/sound deadening material has been applied. As car advertisements used to say, this one’s well equipped. It has r. & h. (radio and heater). 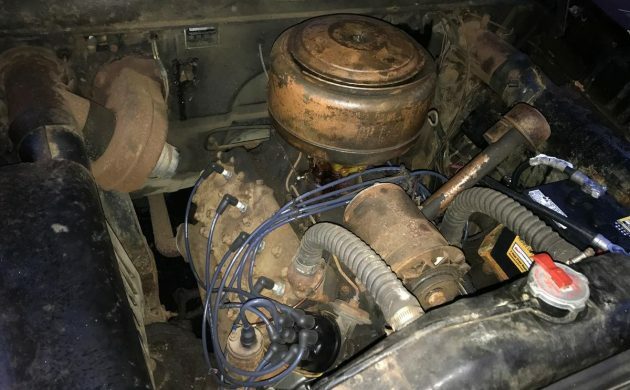 Under the hood is a legendary Ford flathead V-8. Ever hear one running dual exhaust with glasspack mufflers? They sound fantastic. Like nothing else in the world. The radiator cap, battery, cables, spark plugs, wires, and distributor cap are new. Everything else under here looks like it’s never been messed around with. 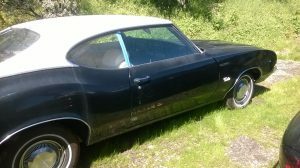 The seller says it starts easily and runs smooth. The brakes have been rebuilt too. 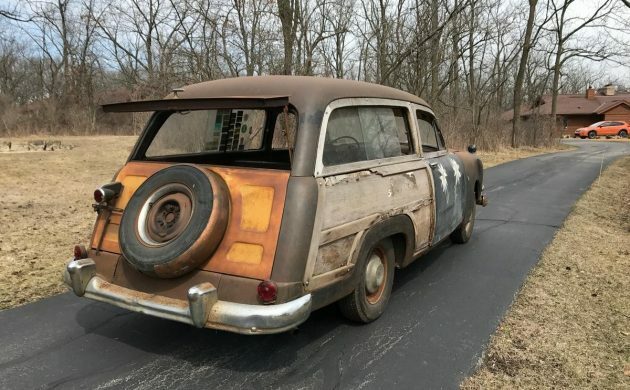 I don’t know about doing any long distance driving, but with the addition of new tires, this could be a really cool cruiser for local car shows and such. It will be sure to turn heads anywhere it goes. Could you picture yourself chasing parts, or going to the local home improvement store or ice cream shop in this vintage wagon? Or, after a restoration, on the show field of a major Concours d’Elegance? Without using the dreaded “P” word, I think I’d kind of leave it as is. Sometimes it looks ok. I doubt it’s a Wisconsin car, and while there’s all kinds of simple replacement parts, it’s probably pretty tired, judging by the stickers, this car been around. I never know why people put those goofy turn signals on the fenders,( trucks too) it’s not that hard to make the parking light a 2 way socket. Still a very cool find. I’ve been using the term “cosmetic corrosion” to replace the dreaded “P” word. Patina is that green stuff that appears on copper. I’m with Howard on the turn signal “lollipops” on the front and extra lights on the rear. Go ahead and get your turn signal kit from Western Auto or J.C. WhizzBang so you have the lever, switches, and wiring etc. Then do what it takes to use the original parking light. Now the only goofy thing is that turn signal switch held to the steering column with a big hose clamp. I agree with JP but if I had the time, room, and the car was not so far away I’d be all over it. I’ve never seen a 51 with what looks like a 50 Crestliner Dash. I believe most if not all 51 Wagons had the 50 style dash. The dash on the Woodie was unique to that model. Narrower than the standard cars due to the need to accommodate the exterior wood trim . All 1949-1951 Woodies used the earlier style dash. The standard dash was redesigned for 1951 and not used in Woodie due to low production numbers and cost. Very similar to the 51 woody used in the movie A summer place. Very cool. expensive to get the wood done. Lots of possibilities!!! Looks like POR15 on the floor. The stickers are 35 years of the South Hampton Town Beach. Lots of summer people kept kick around beach or house staff cars for seasonal use. People forget or don’t know that up to around 1961, turn signals, back up lights, out side rear view mirrors were options not standard equipment. Probably the cheapest way to put directionals on it back than for what the car was considered to be. 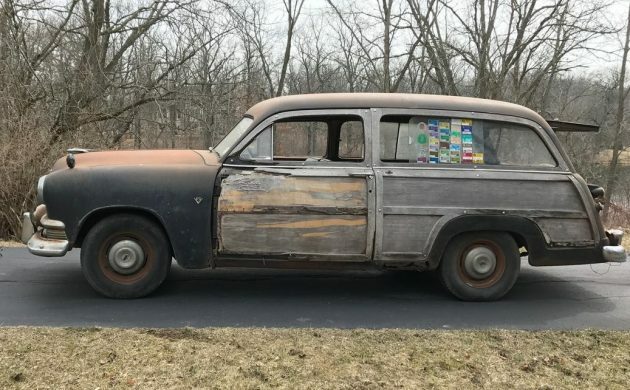 I remember the farmer next door to my aunts on the east end of Long Island taking an ax to remove the station wagon wood body from a 1947 Olds because it was just an old vehicle.